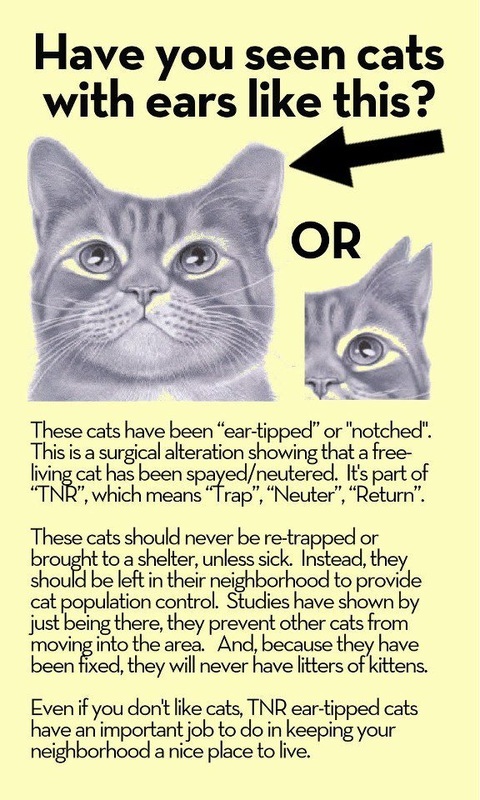 The Humane Society of West Texas runs a Trap-Neuter-Return (TNR) program to provide low-cost spay/neuter vouchers to individuals who wish to TNR cats in their area. We also socialize kittens who are captured at a young age so that they can grow up as domesticated house pets. In addition, we support the feral cat TNR program at Texas Tech University. This free program is run by volunteers and TNR's the campus cats at no cost to Texas Tech University. 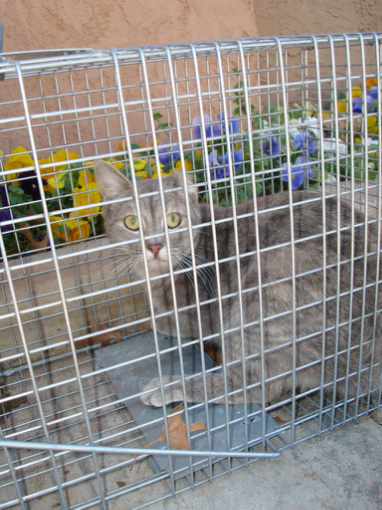 In 2011 we TNR'd around 500 feral cats. In 2012, we increased that total to 550 cats. TNR is the only humane way to treat feral cats and is the most effective way to control feral cat population growth. For more information and research into TNR, visit Alley Cat Allies. If you see a cat with a "tipped" ear, where the end of the left ear is either cut off or notched in a "v" shape, you know that they have been processed through a TNR program; these animals should not be trapped, relocated, or harmed. These cats do not need anything other than understanding and some food and shelter. The general public can purchase feral cat spay/neuter vouchers for $67 each from us at our adoption events or contact us. Each voucher includes spay/neuter surgery, surgical ear tip removal (for identification purposes), and rabies vaccination. Cats should be returned to the same place they were trapped after surgery and at least a 12 hour recovery period. Vouchers are for feral & free-roaming community cats only, not personal pet cats (contact your local animal control to ask about discounted spay/neuter for your personal pet). We have a limited number of humane traps available for use (with refundable deposit) by people who purchase vouchers; otherwise you can buy your own humane traps at local feed stores or online. Donations for the Feral Cat Program are gratefully accepted. Great donations are money for vouchers, live traps, or cat food. See the Support Us page for how to donate! Tame pet cats and dogs: We do not offer low-cost vaccinations or spay/neuter to the general public for pet animals at this time. See www.spaytexas.org for a list of low-cost vets, ask your local animal control, or apply to Lubbock Animal Services for a voucher for low-income residents.